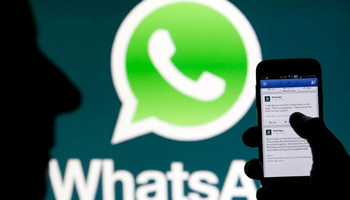 Nov 2: WhatsApp Wednesday said it will display advertisements in its ‘Status’ section to monetise the popular messaging platform that has about 1.5 billion users globally. “…around monetisation plans for WhatsApp, we already announced that we are going to be putting ads in ‘Status’. So that is going to be a primary monetisation mode for the company as well as an opportunity for businesses to reach people on WhatsApp,” WhatsApp Vice President Chris Daniels said here. He, however, did not provide a time frame for the rollout of this feature. According to reports, the Facebook-owned company will shortly allow advertisers to display ads in its Status section. The ‘Status’ option allows users to share text, photos and short videos as their status, which disappear after 24 hours. Facebook had acquired WhatsApp for USD 19 billion. The messaging platform, which competes with the likes of WeChat, Viber, Line and Hike, has over 250 million in India — a key market where it is battling concerns over fake messages on its platform. Daniels is currently in India and met IT Minister Ravi Shankar Prasad Wednesday in the backdrop of India’s demand for traceability of sinister messages that have incited incidents of violence. Prasad also asserted that the “institutional integrity” of the platform be maintained ahead of elections.